There are a lot of ways on how to reset a digital scale, but, certainly, there is the easiest and most efficient way of doing it. Come to think of it: why do we need to reset it in the first place? For sure, there is a bigger reason other than it displaying inaccurate results, right? Do not worry for we have the answer for you. More than that, we are also going to discuss the easiest way to reset your digital scale. However, before you understand the essence of resetting your scale, you should first polish up on how a digital scale works in general. This piece of knowledge will help you to have a deeper understanding as to why there are a handful of steps to get to the proper reset. Yes, it is not as simple as resetting a mechanical scale where you just have to adjust the line to zero. With our help, hopefully, the trial and error will be a smooth process. 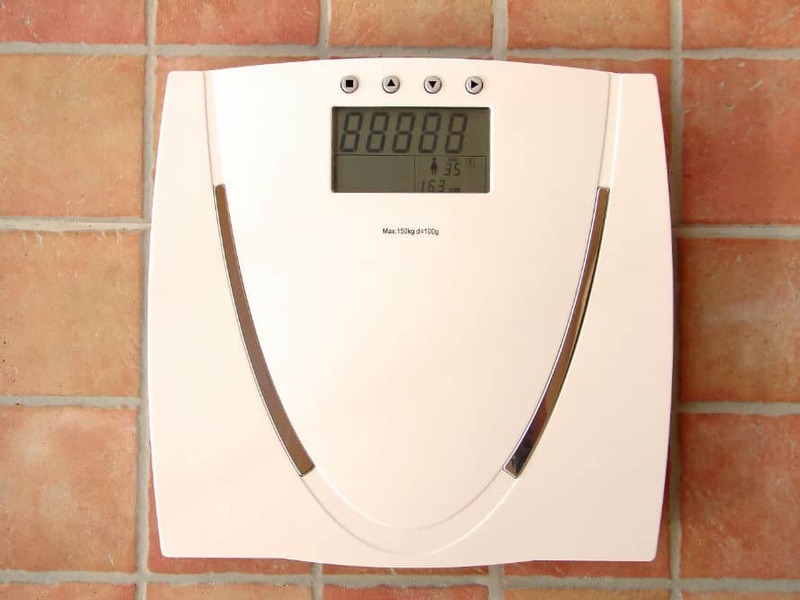 The most commonly used digital scale is the bathroom-type scale. This is the type of digital scale or electronic weighing machine that is used for reading weight, BMI, muscle mass, lean mass, body fat, water ratio, and more. Most releases nowadays have smartphone integration for you to be able to sync the results to your fitness applications. Simply put, a strain gauge is a device that measures the strain of an object. It can be made of foil—tracks of metal that were adhered to a circuit board that is printed. Additionally, it is made to flex and stretch for it to work properly. This process is called deformation. Its main use is to convert that deformation into an electric signal. In turn, this electric signal works with another electric signal that comes from the load cell sensor to determine your accurate weight reading. What Is a Load Cell Sensor? A load cell sensor is a device that converts force into an electric signal. This signal is the second signal that we mentioned earlier. All in all, in order for a digital scale to display readings, it needs two signals. The force that is turned into an electric signal is the initial force that comes from your act of stepping on the scales. In line with not trying to sound very technical, these two signals will then meet each other and would result in a small resistance change. This change is then passed on to another converter that is digital, and eventually a microchip. Finally, it will analyze this small resistance change and will display the results on the screen. It is important to know these things first and how they work, because when undergoing a reset, these are actually the things that you are resetting and not the digital scale itself. For you to know if your reset was successful, you have to determine if each of the components is doing their jobs. Other than that, generally speaking, a reset is also important for digital scales. The thing is that they are digital, and from time to time, they malfunction due to system errors. Think of it like resetting your broadbands at home. Through time, your internet gets slow, for no reason at all. All it takes is a good old reset for it to work at its best capacity. The same goes for a digital scale. However, there are more steps to be taken. Let us take a look at how it can be done below. Get an object that can be weighed on the digital scale. The object should not have uneven edges so as it can be stable on the platform. Also, it should have enough weight so that there will be an available reading. Find the reset or calibration button of your digital scale. For some models, it is the on and off button. Press that button until only 0 appears or any type of display that signifies that it is open for a reset. Put on the object of your choice on the platform and wait for the digital scale to calculate the weight. Once the reading is displayed, press the reset button again and wait for it to reflect 0 again or other displays that show that the reset is done. Some digital scales automatically apply the reset, but others instruct you to wait for at least two minutes before manually turning it off. Just check your manual to be sure. All that is left for you to do is to weigh yourself to check if it is working properly. If there are any inconsistencies with the readings, that just means that the electrical charges of both or either the load cell sensor and the strain gauge are not being transmitted properly. The solution to this is to restart the reset process—this is the trial and error part. So, do you now know how to reset a digital scale? As you can see, it is not as easy as just pushing a button; you need to have with you a separate object to be weighed as well as the knowledge of the controls and buttons of your digital scale. Just keep in mind that although this process may be a hassle, it certainly prolongs the efficient performance of your digital scale. Just like any gadget, when it has undergone a total reset, it comes back even better than before. Additionally, now that you know the components of the digital scale, it will be easier for you to troubleshoot them if the scale malfunctions. Last but not the least, do not forget to check your instruction manual for other tips regarding doing resets.